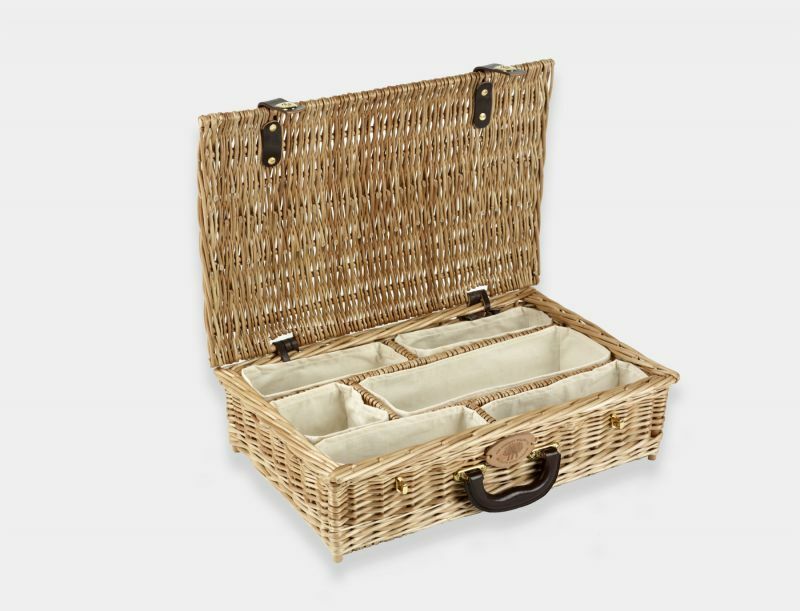 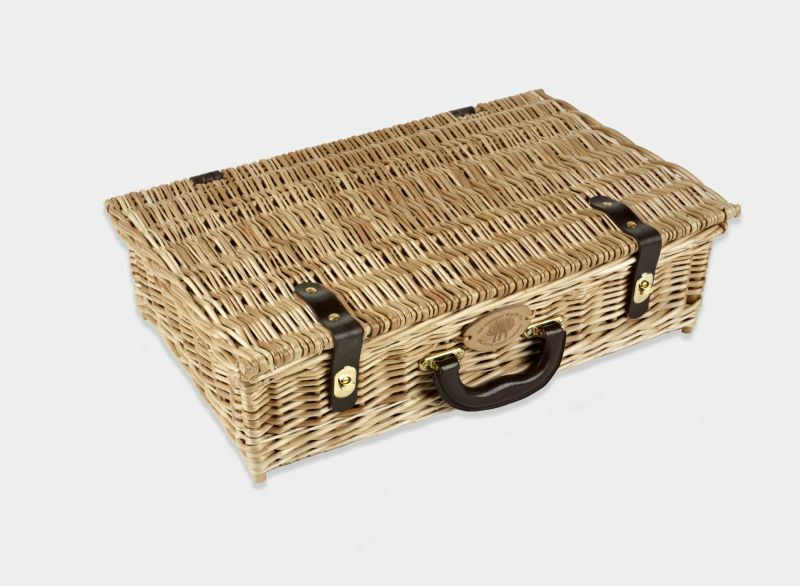 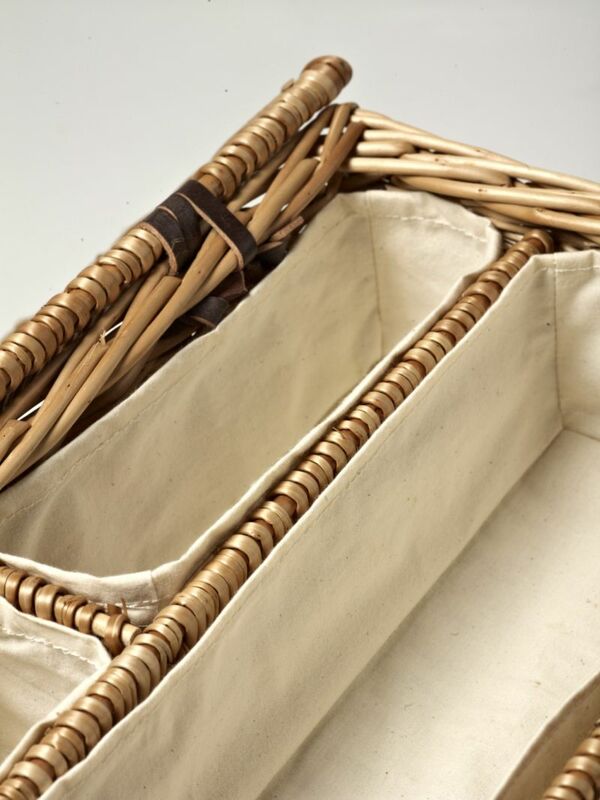 The finely crafted Champany Champagne Basket, is displayed here in the aged weatherbeaten gold willow finish with a leather suitcase handle, ornate turnlock closures and a set of pristine cotton partition inserts. 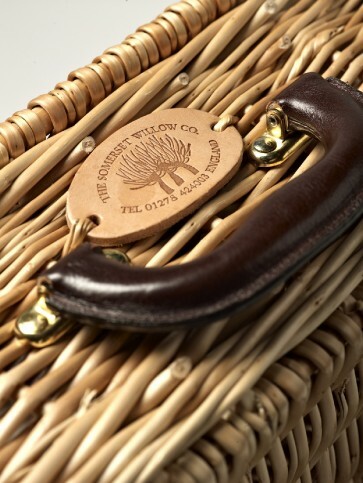 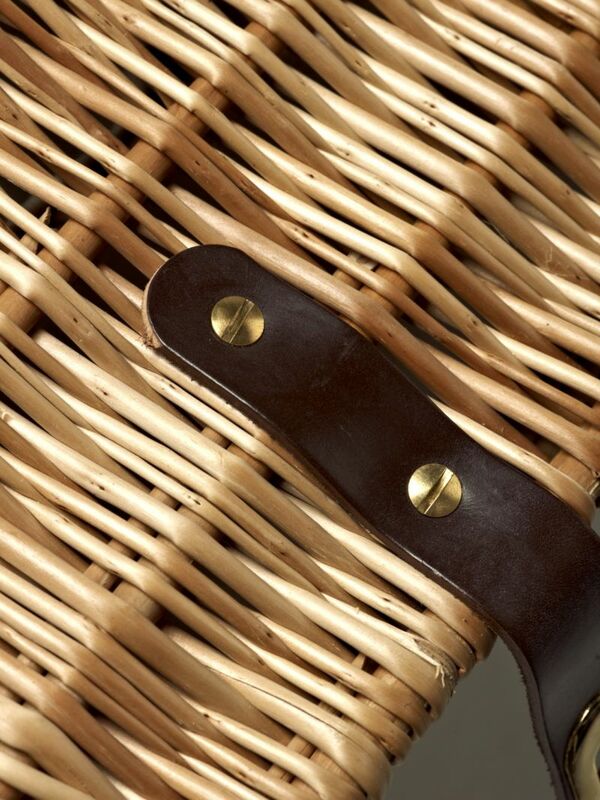 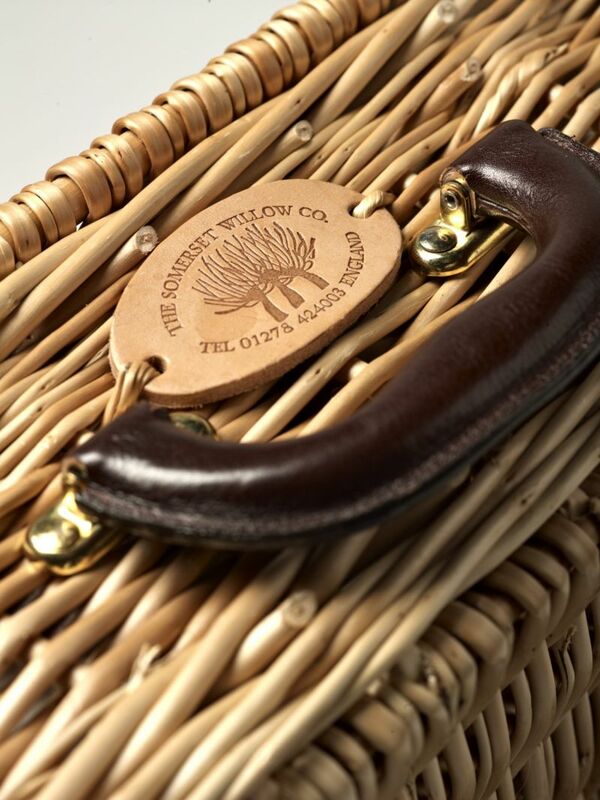 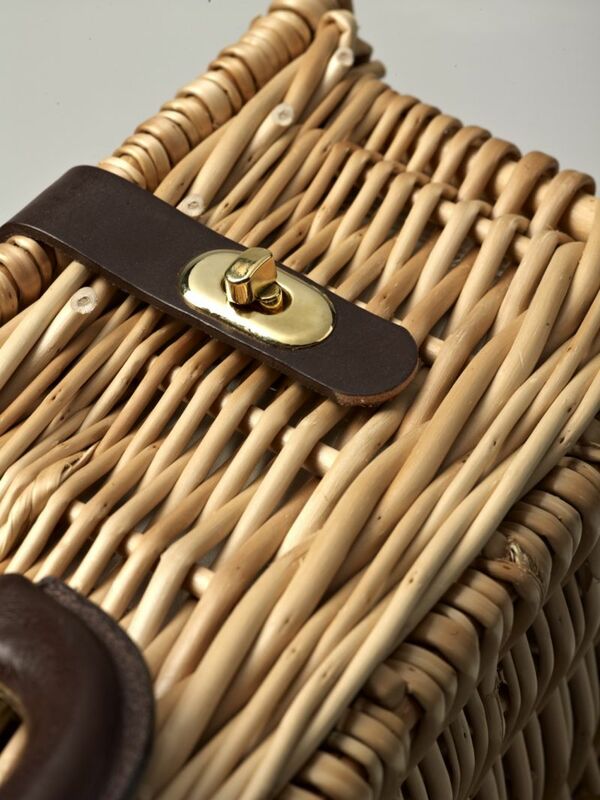 The basket is made exclusively by hand in our workshops in Somerset, using locally grown Somerset willow. 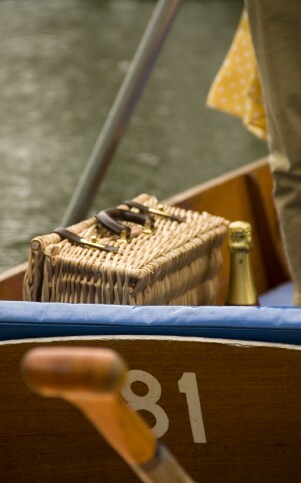 A wondrous journey of Champagne and Strawberries; this basket is perfect for that enchanted and intimate occasion. It is suited for up to four persons and will fit one bottle of Champagne and four champagne flutes.